Vehement Youth is an up and coming Cape Town based brand that operates under the moto “You do You”, as they look to drive and celebrate the growing fashion forward culture emanant in the South African scene. Through their online platform, they strive to enable emerging brands and designers by providing them with a platform with completely customizable online storefront that allows them to market and sell their products directly to an extended target audience. This year, Vehement Youth will be partnering with Bazique Festival in an attempt to promote a fashion forward culture at the event. They have handpicked a number of Cape Town’s trendiest festival wear designers and brands that will ensure you finesse your outfit choices with bespoke ready-to-wear and once-off items. They will be available for purchase at their stalls at the event and via pre-order through the Vehement Youth website (WWW.VEHEMENTYOUTH.COM). 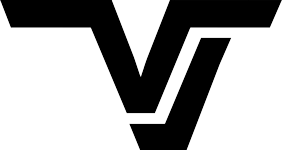 Head over to the Vehement Youth page on the Bazique website to find out more about what these brands have to offer and place your orders now. 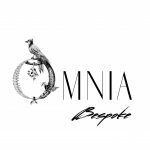 Omnia Bespoke is a unique fashion brand consisting of bespoke and once off pieces. Everything is created and made by the stylish duo Simona Ferrari and Domenica Chieppa, making their well-crafted range unique and perfect for the festival scene. Their products range from everyday items, crochet bikinis, accessories and men and woman festival items which are custom made according to the client’s preferences and style of festival fashion. “We’ve got the dreamers disease”. A fresh, fun, on trend, festival inspired fashion brand creating high quality proudly South African products. Some garments are once off, one of a kind pieces that will not be repeated, uniqueness gives us the edge and sets us apart from other brands. 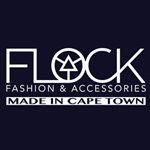 Walk into our dreamworld at Flock Collective at 32 Ryneveld Street, Stellenbosch. Designer & Founde Jode Venterr. Offering some once off items, face painting and the additional service ‘Pimp-my-gear’, Mifologi now gives you the opportunity to reinvent and reimagine your old garments, hats, shoes, accessories, gemstones, sentimental items and objects a new life! -Take a photo of the item you wish to “pimp-out” and send to Mifologi prior to the event as soon as possible, along with a comprehensive description of your desired alterations on the product. – We will categorize your request according to the intricacy of your design and will notify you within 2-3 days whether your alteration can be done at the festival* and what the price** will be (will differ with regards to materials used and intricacy / difficulty of alteration / design). 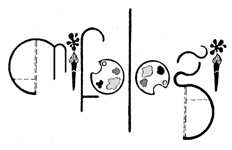 – Find the Mifologi stall at the festival to hand over your item along with a 50% deposit of quoted amount. You will receive an estimated time of completion (ETC) for the same day. * In the case of your design being too intricate to complete at the festival (might require special equipment, added processes, etc), you will still be asked for the deposit upon handing over your item to Mifologi at the festival, and collection / postage can be organized… Keep in mind that in this case, your item will have to wait till your next party for a play! But, Great Art Takes Time. **Mifologi works on an hourly rate: R100 p/h excluding added materials / expendables. GRA is the product of a young, passionate, local and aspiring designer, born and bred in Cape Town, South Africa and came into being because.. WHERE IN SA CAN ONE GET CUSTOM-MADE FESTIVAL WEAR? Nowhere.. but right here.